The final leg (at least for now) of our healthy Brazilian food series will focus on a little known berry that is actually native to the West Indies but can also be seen growing wild and cultivated in Northeastern Brazil. Brastilo introduces you to the acerola. Often referred to as the Barbados cherry, the acerola is a red fruit that is largely consumed for its vitamin C content. Interestingly, Wikipedia states that the berry is "sour as much as it is sweet". 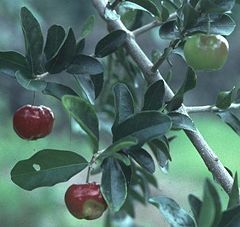 And according to the California Rare Fruit Growers website, the acerola also has "a delicate flavor with apple notes". So, I guess we can call the acerola the fine wine of berries. And while nobody here has ever heard of the acerola, we believe it's the best kept secret. According to Big in Japan, it's already being used in Japan as a cure for the common cold. In Tokyo, vitamin C enriched acerola juices are already being sold in supermarkets....in really fun packaging! You have to admit, you'd totally buy that over an Odwalla any day! The Vitamin C from the acerola can also be used in supplement form. One example we found on the web (but the legitimacy of the product is still unconfirmed), is Dr. Ben Kim's Acerola Cherry Powder which claims to help your skin and prevent hair loss as well as build your immune system. So this really is a magic berry. We'd expect nothing less from the berries cultivated in our precious natural forests. And as always, Brastilo's use of wood sourced from specially selected sustainable forests helps protect the forests where acerola grows naturally. Another helpful tip from your friends at Brastilo. Following along the lines of our previous post, Brastilo brings you stevia. You may have heard of this nifty little sweetener and sugar-substitute, but we have the total spoonful. Get it? - spoonful of sugar - okay, I'll stop. What is stevia, you ask? Well, it's not just some corporate hoax to make you buy more sweets. According to our best friend Wikipedia, stevia is an herb and shrub based in South America. "...commonly known as sweetleaf, sweet leaf, sugarleaf, or simply stevia, [it's] widely grown for its sweet leaves. As a sugar substitute, stevia's taste has a slower onset and longer duration than that of sugar...having up to 300 times the sweetness of sugar." 300 times the sweetness of sugar? Oh yeah, and it's calorie-free. Sold yet? Well now that we've hooked you, where can you find this miracle, all-natural sweetener from the tropical forests of Brazil? Not very far away, as it turns out. SweetLeaf sells numerous sweetener products made with stevia, including packets of stevia to use with coffee and tea. According to the brand, stevia also contains fiber so it's relatively healthy in comparison to other sugar substitutes. And it's kosher. Now, I feel like I'm going on and on about the wonders of stevia. And, as if all this low-cal, sweetener stuff wasn't enough, Wikipedia touts the medical benefits of stevia as well for conditions like obesity and high blood pressure. It's also great for diabetics because of it's low Glycemic Index. Yet another healthful tip from your friends at Brastilo! Look out for more to come...we can't help but be proud of our healthful Brazilian herbs and berries. And don't forget, Brastilo's use of specially cultivated forests helps keep herbs like stevia alive in our naturally occurring tropical forests throughout Brazil. I am always looking for new health foods. After surviving countless diets, including the pungently aromatic Cabbage Soup Diet, I have my doubts about good tasting healthy foods. As it is, I spent 30 minutes trying to determine whether to eat a salad for dinner or pasta (in case you're interested, I decided on a ginormous bag of pretzels and some low fat/disgusting chocolate cookies). Leave it to Brazil, bastion of the g-string bikini, to bring us healthy plants that actually taste good. I guess it's important when you're wearing next to nothing on a public beach. 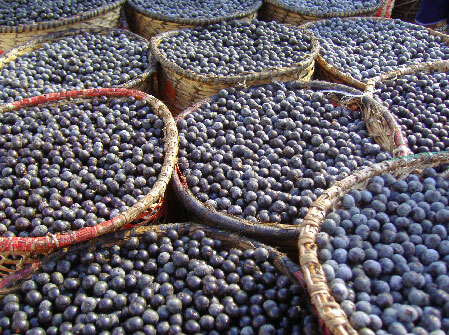 "Not only is the açaí berry an antioxidant, but taken in the organic form unique amino acids, fatty acids, vitamins and proteins are present in these berries. The açaí berry is rapidly becoming recognized as one of the most nutritious and powerful foods in the world, and is nature’s perfect energy fruit." It's only a matter of time before we hear people proclaiming the glory of Acai to help them stay up late and study. "The juice and pulp of açaí fruits (Euterpe oleracea) are frequently used in various juice blends, smoothies, sodas, and other beverages. In northern Brazil, açaí (or jussara, which is one of the fruit's common folk names) is traditionally served in gourds called "cuias" with tapioca and, depending on the local preference, can be consumed either salty or sweet (sugar, rapadura and honey are known to be used in the mix). Açaí has become popular in southern Brazil where it is consumed cold as acai na tigela ("açaí in the bowl"), mostly mixed with granola - a fad where açai is considered as an energizer. Açaí is also widely consumed in Brazil as an ice cream flavor or juice." Acai flavored ice cream? I thought this was supposed to be healthy. But there are so many uses for this plant, it's only a matter of time before we start seeing acai na tigela in NYC cafes. And it should be noted that because Brastilo uses its own sustainable forests we are helping to protect the rainforest where acai and other rare fruits and berries are found. We like to do our part wherever we can! Stay tuned for even more posts on other Brazilian foods that can help you stay healthier...so we can all look good in our g-string bikinis! This healthful announcement brought to you by your friends at Brastilo. The Super Bowl smackdown is moving from the field to the dinner table as New England Patriots and Giants fans tackle over which chowder is best; New England or Manhattan Clam. If you’re not a fan of seafood, or soup for that matter, chances are your Super Bowl buffet will probably include more typical football fair like pizza, hot wings and dips. When it comes to salsa though, Brazilians score a touchdown in that department. But you don’t have to be from Brazil to spice up your party. Below is a recipe from Food Network star, best-selling author and restaurateur Emeril Lagasse’s book, "New New Orleans Cooking.” It combines his trademark Creole essence with classic Brazilian flavors and spices. For an added Brazilian touch, try serving them in Brastilo’s Ceramic Nesting Bowl. 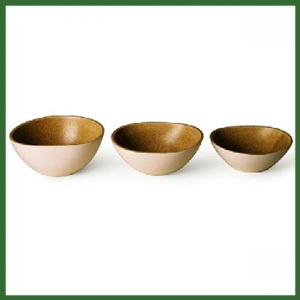 Hand-glazed in soothing Earth tones, this set of 3 ceramic bowls reflects a Modernist influence as well as a love of nature. Use them separately or in a group. Fill them with nuts and other snacks, or leave them empty to highlight their chic shapes. In a small bowl, combine the avocado, lime juice, and salt. Stir until just mixed, leaving chunky. Set aside. In a small bowl, combine the onions, tomatoes, bell peppers, vinegar, olive oil, cilantro, peppers, and garlic, and stir to combine. Allow to sit at least 30 minutes for flavors to develop. In a shallow dish, combine the flour and Essence. Roll the hearts of palm in the flour until lightly coated. In a medium skillet, heat the oil over medium-high heat until hot but not smoking. Add the hearts of palm in batches, and cook until crispy and golden brown on all sides, turning occasionally to ensure even browning. 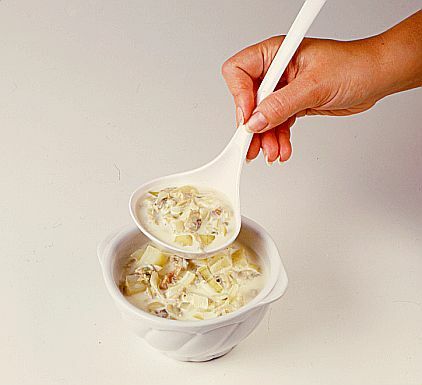 Remove from the skillet and transfer to serving plates. Cut into 1-inch pieces. 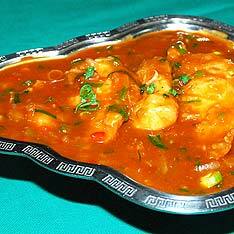 Top each portion with a dollop of the Molho Apimentado and diced avocado, and serve immediately. *If you cannot find malaguetas, you can substitute any small hot pepper, such as tabasco or Serrano.